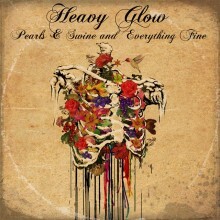 Heavy Glow will release their new full length Pearls & Swine and Everything Fine on June 3rd. 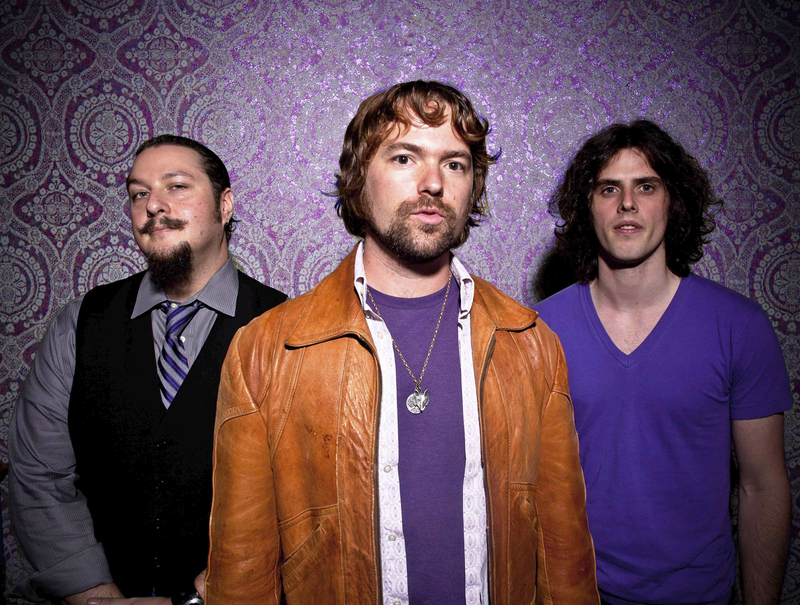 The band blends elements of blues rock and heavy psych with plenty of additional elements to create material that has one memorable riff after another. The previously released singles “Mine All Mine” and “Headhunter” made a strong impression on me, and I had the chance to email some questions to lead singer Jared Mullins to learn more. Pearls & Swine and Everything Fine will be out on June 3rd. Two of the songs, “Mine All Mine” and Headhunter,” were previously released last year on a limited 7” single. What has the response been like to these tracks and how does it feel to finally be able to unveil the rest of the material? We’re all very excited for everyone to hear the rest of the tunes. We recorded this album in 2012 so we’ll be excited and relieved when it finally comes out! There will be a music video for a new song “Look What You’re Doing To Me” coming out in April. Very excited to do our first “real” music video and to finally unleash a new tune. Mayra Leal from the movie “Machete” will be a part of it. Pretty excited to have her. For this album you were able to work with producers Michael Patterson and Nic Jodoin. What was the recording process like and how long did it take to bring these songs to life? It was pretty grueling. We played in one small room in between pieces of Black Rebel Motorcycle’s gear. They were recording in the same room we were at the time working on their last album. Ummm…yeah it was super hot in the room. I remember dripping sweat but it turned out pretty well. I think we did 100 takes or so of each song live so there were about 1,000 takes to choose from at the very end. Michael and Nic didn’t really spend a lot of time changing songs around as far as formats, sequences, or transitions go. We did a lot of pre-production so I had most of the songs written in their entirety by myself before we took up in the studio. Some songs like “Fat Cat” had been hanging around in the Heavy Glow backlog for 3 or 4 years now. We tried recording it for “Midnight Moan” but it just didn’t gel at the time. Other songs I wrote in my bedroom. “Headhunter” was the last song I wrote for the album and for the longest time it was just called “Last Song” because it was, indeed, the very last song. Darren Grealish did the album artwork for Pearls & Swine and Everything Fine. I really like the piece as I think it gives off a very distinctive look when compared to a lot of rock album covers. How did you connect up with Grealish and what type of ideas did you present to him in order to create this cover? I really didn’t give Darren that much direction with the album cover. I think it would’ve messed him up to have too much of an idea in mind. I just told him to make it look like “disenchanted romanticism” to reflect the mood of the album. Tell me about your musical background. In addition to singing and playing guitar you also play drums, so I’m curious as to where you started out and how you’ve developed your ability on all three over the years. Well, my first instrument was the drums. It wasn’t really until I started Heavy Glow back in 2008 that I started taking the guitar that seriously. Everything’s pretty rhythmic for me in terms of writing guitar parts and melodies so that’s probably where it came from. I can hear a good deal of soul, blues, and earlier heavy psych in your sound, and there’s a rawness that reminds me of the earlier days of rock ‘n roll. What are some of your main influences, and do you have any particular influences that people might not expect? Everybody needs to listen to “Turn Off the Lights” by Teddy Pendergrass at least once. Best worst song ever. It came on the radio one late night in Memphis while we were on tour and we haven’t stopped listening to it since. I tend to discover things really late. I’m just now getting into The Coasters and Jimmy Reed. To be honest, I’d love to sit down with Quentin Tarrantino one day and just talk music. He seems to have a pretty incredible taste in tune-age. You grew up in Cleveland before relocating to San Diego. What have been highlights of the music scenes in both cities? Cleveland has the Rock Hall of Fame. San Diego has the sun. Cleveland has heart. San Diego has aesthetic. I remember sneaking into The Fat Fish Blue in Cleveland when I was under-age to see Robert Lockwood Jr. play blues. Nephew, I believe, of the Delta blues giant Robert Lockwood Jr. Robert Johnson taught him how to play guitar so that was pretty awesome to see that kind of lineage in person. “Headhunter” was used in CBS’ Under The Dome. How did that come about and did you have a chance to see the episode the song appeared in? If you were to have an opportunity to do something like this again, what song(s) would you choose and what television show or movie would you like them to appear in? Man, you guys ask good questions. I’ve never thought of this before…Ummm…I’m stumped. Ummm…I don’t know. It would be cool to have a song played in a Tarantino movie or even a Robert Rodriguez film. I don’t watch a whole lot of TV so I really have no idea what’s going on. I pretty much figure it’s all reality TV shows by this point. Is there any chance Heavy Glow will make it over to the East Coast this year? I’d love to hear the material from the album in a live setting! Yes. Absolutely. We plan on hitting the East Coast up in June. Never been before but it should be cool. We’ve been in the Mid-West and Texas mostly as of late. We’d love to play the tunes for you in that live setting! Thanks for taking the time to answer these questions and I’m excited to hear the rest of the album. Is there anything you’d like to say?